On my way out to Three Forks to begin the trip, I took time to linger in SD and WY, visiting sights I'd always heard of and never seen. The gallery below contains (in order) 3 shots of Sioux Falls, 6 shots of an incredible two-hour badlands loop, 2 shots of Mt. Rushmore, 2 of Crazy Horse Memorial, 3 of Devils Tower (WY), and 3 of Little Big Horn Battlefield (WY). 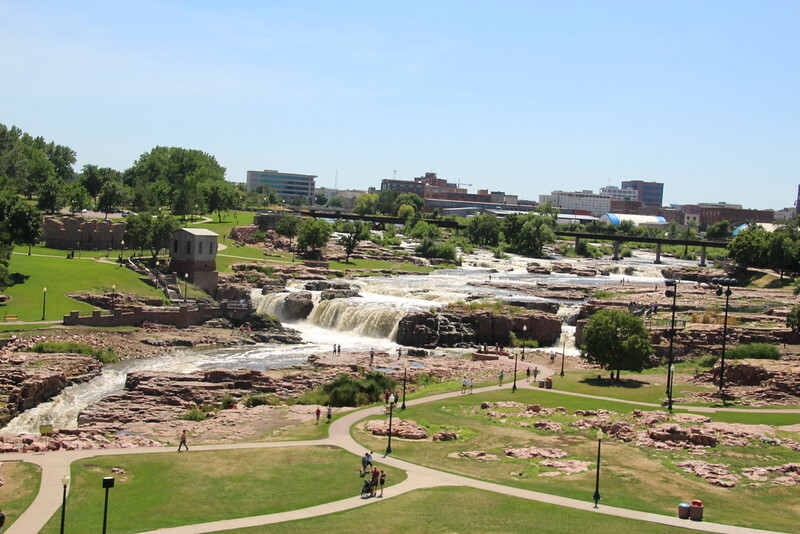 These photos were taken in Falls Park in Sioux Falls on July 23, 2016.